1. Preheat the oven to 175C (350F) and line a standard 12 cup muffin tin with paper liners. 2. In a small bowl, sift together the flour, baking powder, baking soda, salt, cinnamon and ginger and whisk to combine. Set aside. 3. In a larger bowl, beat (with a handheld or stand mixer) the eggs and brown sugar on a medium speed until the mixture is thick and light (about 10 minutes with a hand held mixer and 3 -4 minutes with a stand mixer). In a small bowl, whisk together the oil, buttermilk, orange zest and vanilla. On a low speed, slowly pout the oil mixture into the egg-sugar mixture (it’s important to do this step slowly as we don’t want to lose the air we just created). 4. Fold the flour mixture into the egg-sugar mixture and when it is just combined, add the carrots and continue to fold until everything is combined (try not to over mix). Spoon the batter into the prepared muffin tin and bake for 25-30 minutes (or until they are golden and spring back when touched gently. 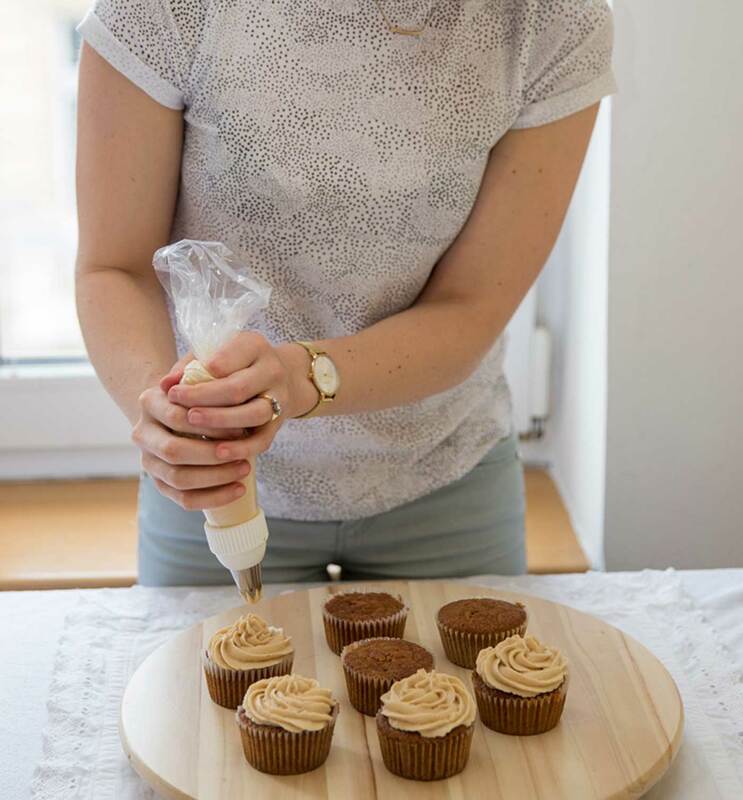 Invert cupcakes on to a cooling rack and when completely cool, top them with frosting using a knife or piping bag. 5. In a clean, medium sized bowl, add the butter. 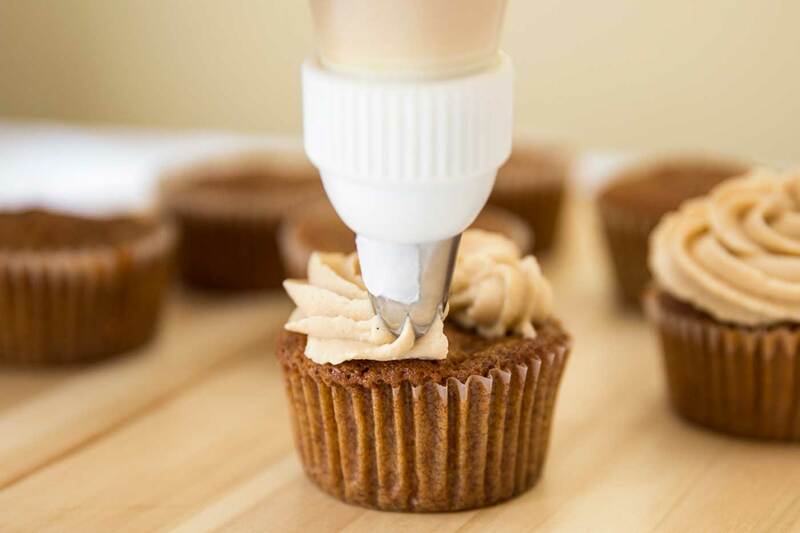 Using a stand mixer, or hand held mixer, beat the butter until it is creamy. Add the cream cheese, brown sugar, icing sugar and vanilla and continue beating until the frosting is smooth and creamy. ** This recipe can be used to make a cake – simply pour the batter into a lined 8 inch cake tin and bake for 1 hour and 20 minutes. 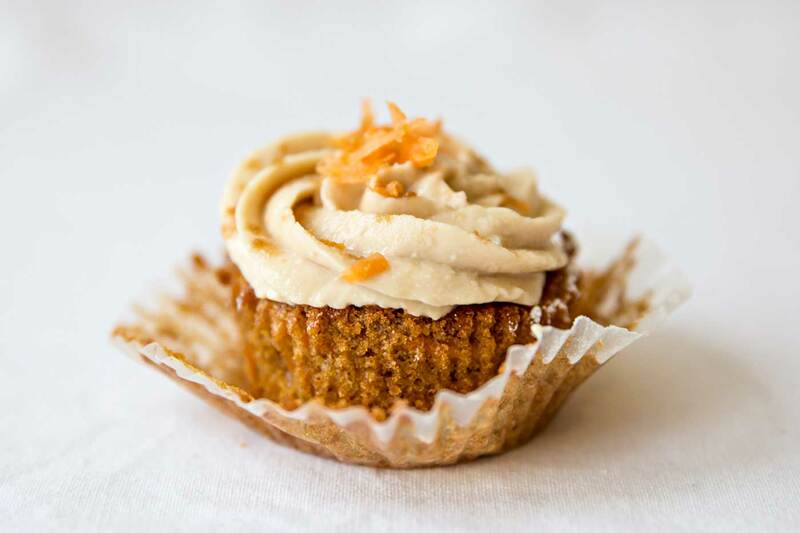 Warning: content contains the best-ever carrot cake cupcake recipe there ever was and eating them may lead to carrot cake cupcake addiction. 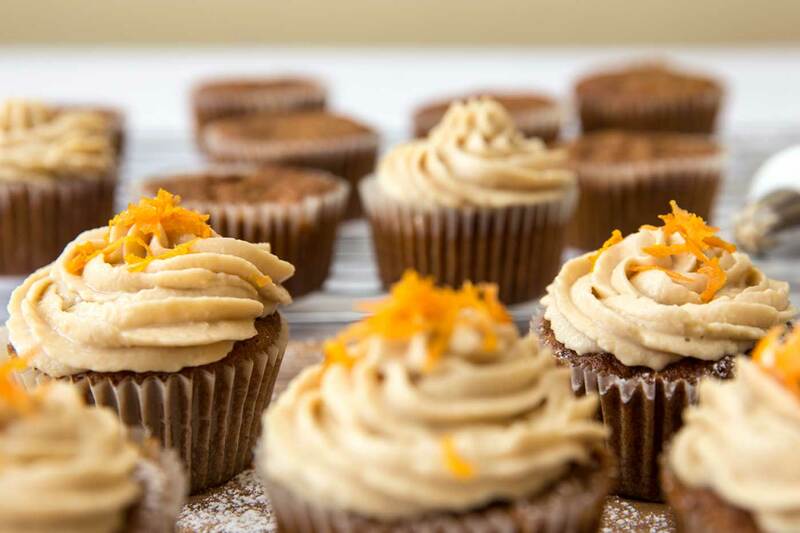 These cupcakes are full of moisture and are super tender. 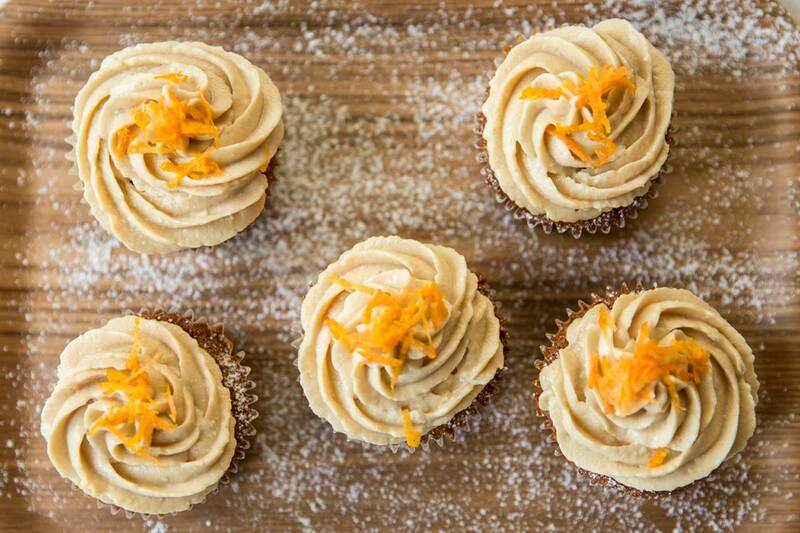 They are flavoured with orange, spiced with cinnamon and are topped with a creamy-dreamy brown sugar and cream cheese frosting. They can be baked as cupcakes or cake! Wholly-molly have I got a treat for you today! 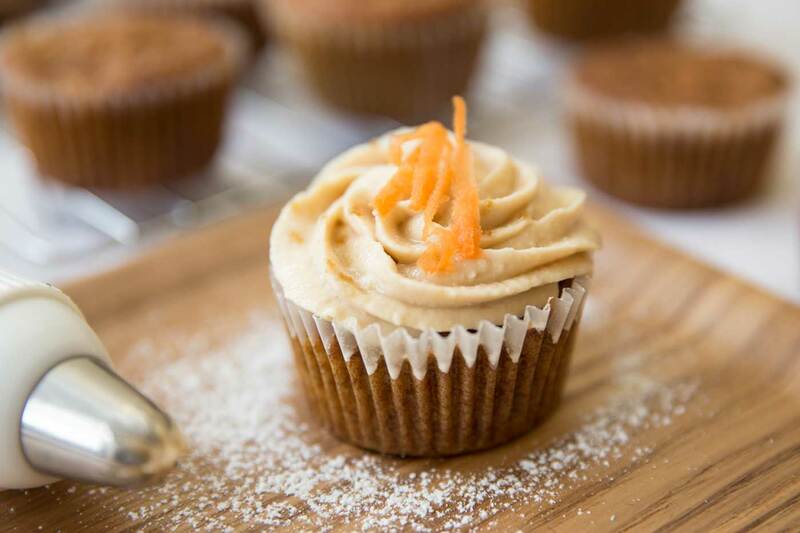 Could anything be better than carrot cake cupcakes with brown sugar cream cheese frosting?? That’s a tough one to beat in my opinion. 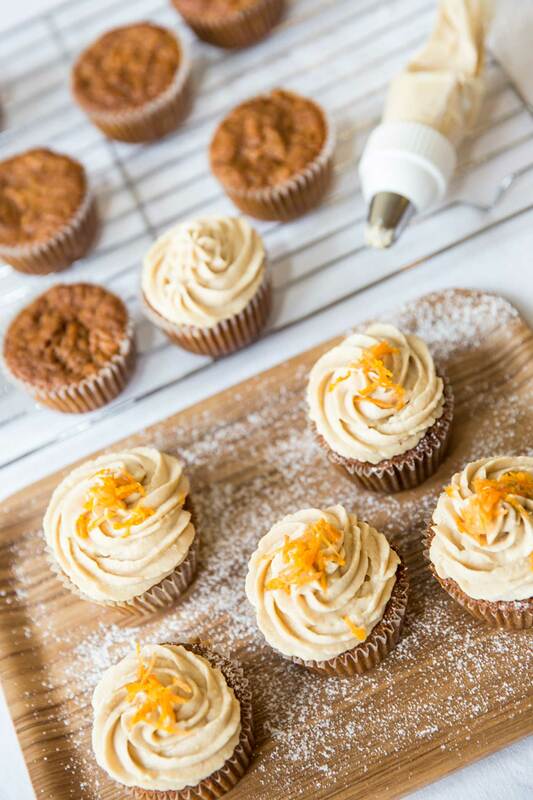 There is no doubt in my mind that these cupcakes are by far my most favourite cupcake in the world – they are full of moisture, flavour and are so tender they almost melt in your mouth with every bite. They have some orange zest for that extra zingy-goodness and are spiced with cinnamon and ginger. 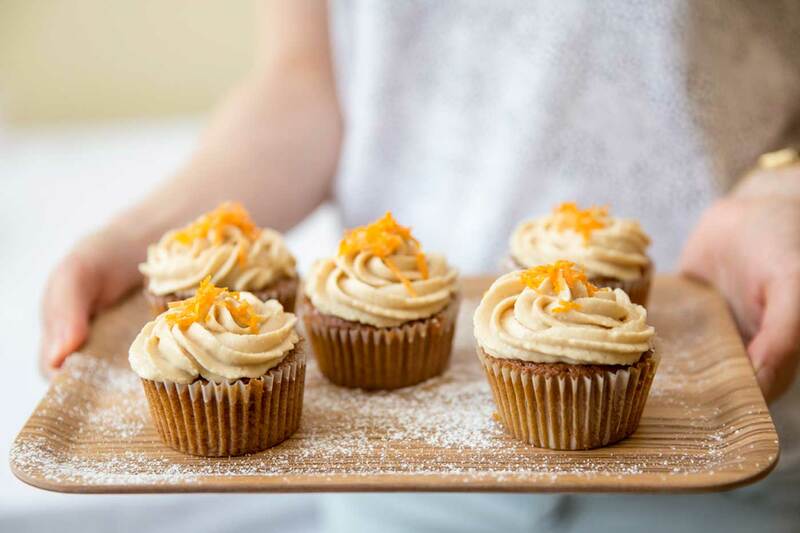 And then there’s the brown sugar cream cheese frosting.😍 😍 This stuff makes the even the worst cake taste amazing so you can imagine what it does to these already insanely delicious carrot cake cupcakes – they become highly, highly addictive. I made these last week for some friends and I (very thoughtfully) put one aside for Kevin, knowing that carrot cake/cupcakes are his favourite sweet treat. It stared me in the face for most of the day until I couldn’t take it anymore and I just had to take a bite. “Just one bite” I thought. (I’ll make him us another batch soon to make up for it…). If you are more of a carrot cake kind of person then this recipe works perfectly as a cake too! Just pour the batter into a 8 inch cake tin and bake away (see recipe notes). I adapted this recipe from Joanne Chang’s cookbook, Flour (this woman is one of my baking heroes and I highly recommend her book). I have come across many carrot cake recipes in my life time, but none compare to this one. Joanne uses raisins and walnuts in her recipe, so feel free to add these if you like them. I personally prefer them without. 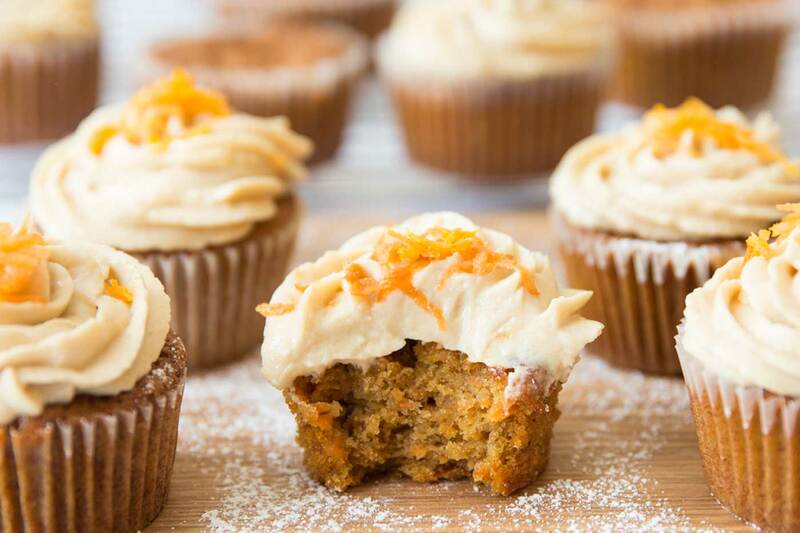 I’m not sure what you have planned for the day, but I hope it involves making these carrot cake cupcakes – you will not regret it, I can assure you.